This fat quarter friendly quilt is perfect for snuggling! 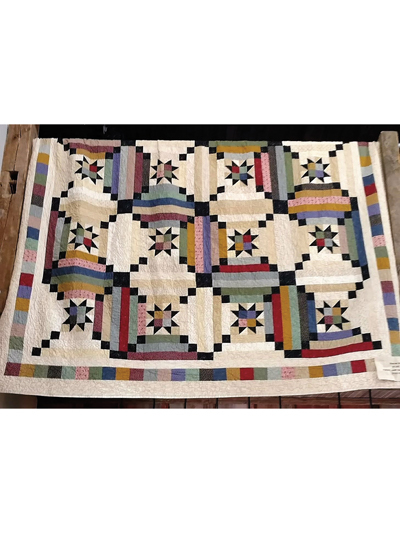 Showcase your favorite fabric collection in this quilt of stars! Finished size, 97" x 97". 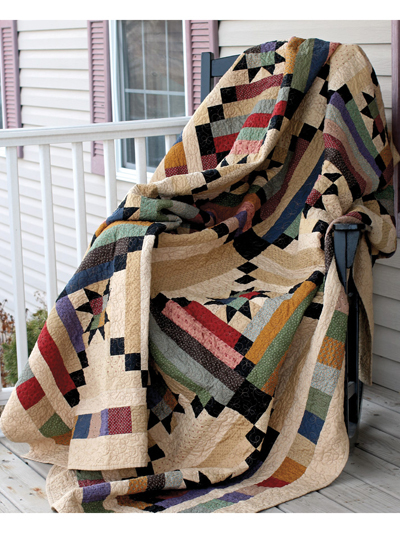 I love this quilt but cannot find anywhere that does it as an e-pattern. The postage for it is more than the cost of the pattern. I am in Australia. I have seen the whole quilt, The little red hen" I think that is what it is called. I googled it. You can also get the kit. I agree with Melody, love the colors but can't see the pattern clearly. I am currently working on this quilt and think I will love it when it is completed. I cut the number of colors in half since it was easier to figure out. 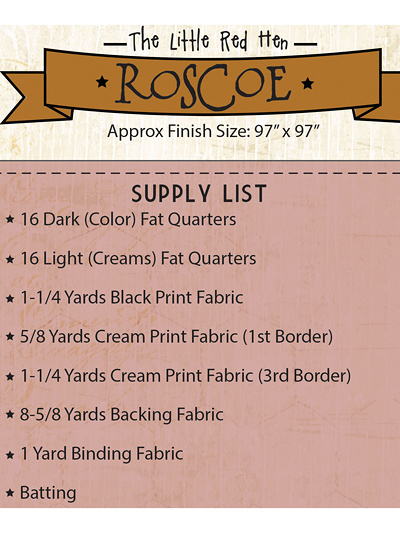 Do advise that you buy more fabric for the center (color pieces), as the pattern gives you barely enough. Certainly no room for error. Will post a picture when I complete it. Love the colors. Wish there were additional pictures. Not a clear view of the pattern.